Formal methods employ mathematical notation to record specifications and use mathematical reasoning to justify designs with respect to such specifications. 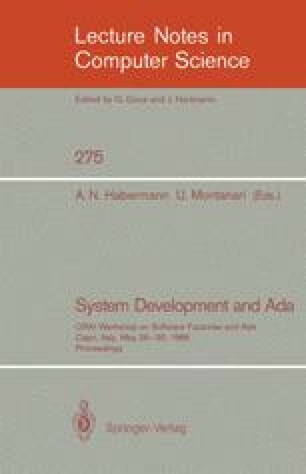 One avenue of formal methods research is known as the Vienna Development Method. VDM has been used on programming language and non-language applications. In this paper, programming languages and their compilers are ignored; the focus is on the specification and verification of programs. The discussion focusses on the approach to specification and the reliance on proof obligations in design steps of data reification and operation decomposition. This paper is an extended version of “Specifications and Programs” which was presented at, and will appear in the proceedings of, the “Third Autumn School of the Polish Informatics Society, Mragowo, Poland, 1986.